Home > back to school > B2S Bash: Intel Powered Laptop!! B2S Bash: Intel Powered Laptop!! As part of the Back to School Bash, Intel sent us (and is giving one of you) an Acer Aspire TimelineX 14-Inch Laptop. 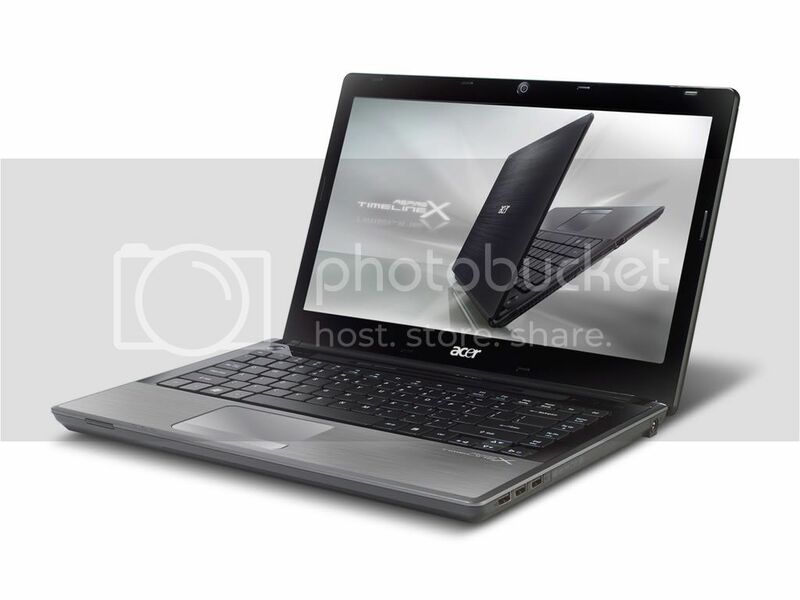 The laptop features an Intel® Core™ i5-450M 2.4 GHz Processor with 3MB cache. We’ll discuss the technical details of the laptop a little while later. For now, let’s discuss some talking points. When you are shopping for a computer, the first thing you need to ask is, what will I be doing with this computer? That really will determine what you are going to be looking for. If you want a full size keyboard, an external monitor or two, and you don’t want to ever lug the thing around with you, a desktop may be a better fit for you than a laptop. If you are a business person who uses email and powerpoint more than any other programs, chances are that you will need a laptop with a VGA port and a good battery. If all you do is email and Facebook, you can consider a tablet or a netbook. Many of us are the IT department for the family so you need a computer that is portable but plugs in at the desk, runs the games your kids love, has enough processing power to run anything the internet has to throw at you, and that can do a little video editing on the side. What makes your computer run fast and keeps you from becoming frustrated? Processor speed and memory. That’s where Intel’s i5 processor fits in. Intel makes 80% of the worlds PC processors. Now they even make the processors in your Mac! The current family of processors are the “i” family and you can think of them like BMW classes of cars. The 3 is entry level, the 5 is the mid-tier, and the 7 is the best. The Acer Timeline X Intel sent us (and is giving away) is the mid-tier processor with 4GBs of memory. It is truly the fastest PC that we have in the house currently. The laptop has an HDMI port on it so when we are lucky enough to have an HDTV in the room when we travel, the laptop doubles as a media center and the girls can get in an episode of Signing Time and VeggieTales. Intel says that students multitask and I know that was the case when I was in school – compiling code while you work on an English paper. Most computers come with at least dual-core processors, so it’s like two processors (or brains) in one. But, on top of the dual-core processor, one of the cool features of this computer is Intel’s Turbo Boost. When you need a little extra speed, the processor gives you a little more. It will burst up to 2.66Ghz when you are doing processor intensive work. Personally, you could give me the speed all the time, but not running all the time allows for the TimelineX to give you up to 11.5 hours of battery time. Now, the few extra features that make this computer work for your students is the 1.3MP webcam, the media card reader and 500 GB hard drive to store all those photos you get off of the media cards, the Gigabit Ethernet card, and the B/G/N WiFi, DVD burner that will do CD’s, too. Oh to top it all off it’s only an inch think!! I’m so excited that Intel is allowing me offer one of these laptops to a reader! Leave a comment below with your main computer tasks (reading Southern Savers is appropriate :) ). Share about the giveaway on Facebook. The winner will be picked on Tuesday 8/23 at 12pm est and notified by email. This giveaway was sponsored by Intel as part of Win Giveaways: Back to School Bash. This Post was written by me (and my husband) and was not edited by the sponsor. Find more information on the terms for this giveaway on the Win Giveaways Facebook page.